MORE Mobile Relations is a full service mobile agency. We help brands by creating engaging and strategic mobile experiences. 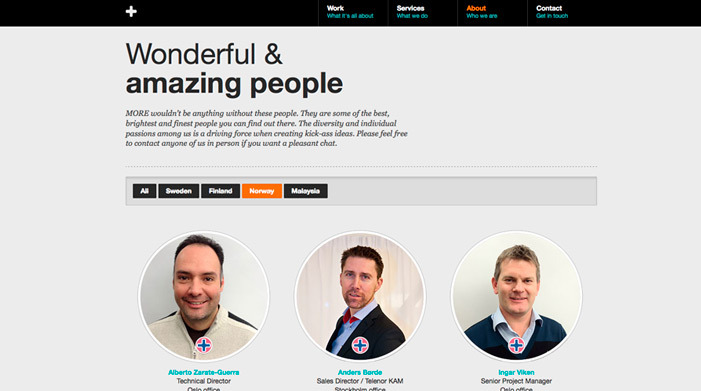 We’re based in Scandinavia but work globally.